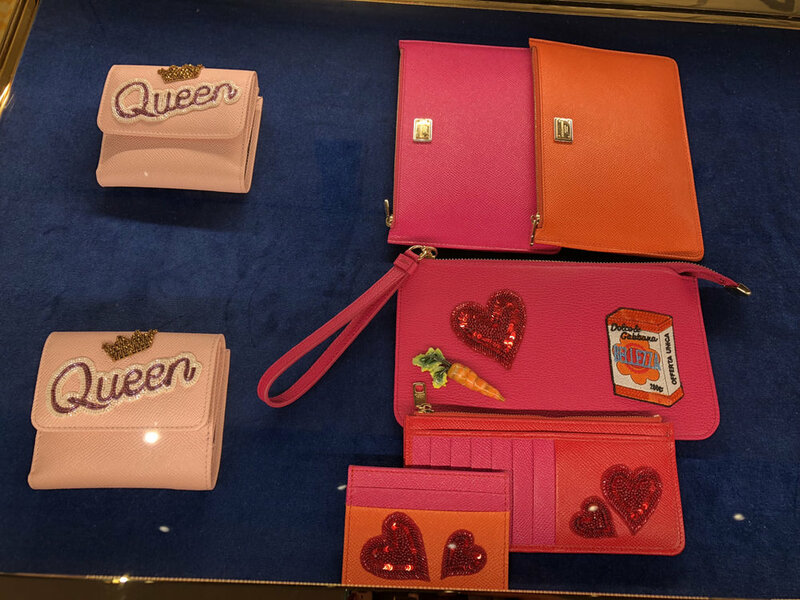 Dolce and Gabbana is one of the most prominent names in fashion. With their wide array of innovative runway shows featuring bold couture pieces, it’s rare to encounter a person who is not familiar with the brand. 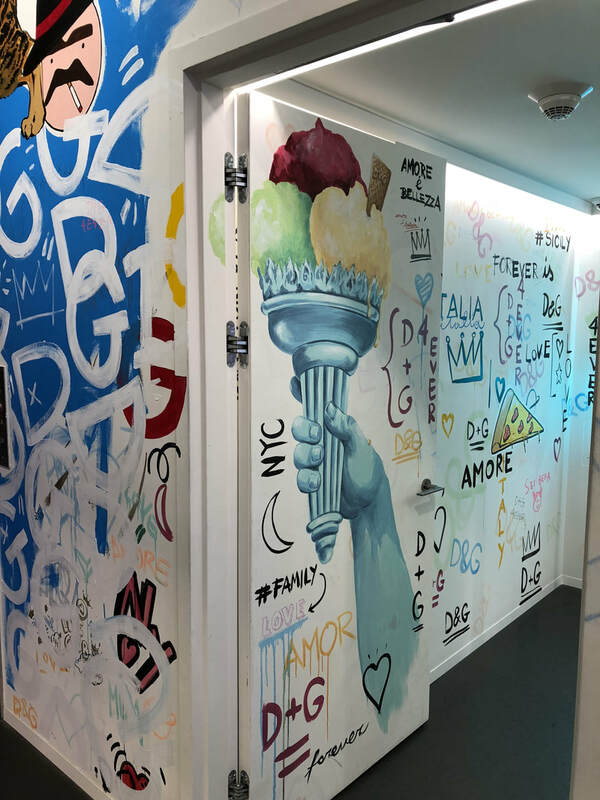 When I first heard that they opened a huge new store in NYC’s Soho, I checked my schedule immediately to find a date to visit. Upon entering the space, which was once a 19th-century fire station, I was swept off my feet by the urban, NYC-inspired first floor. 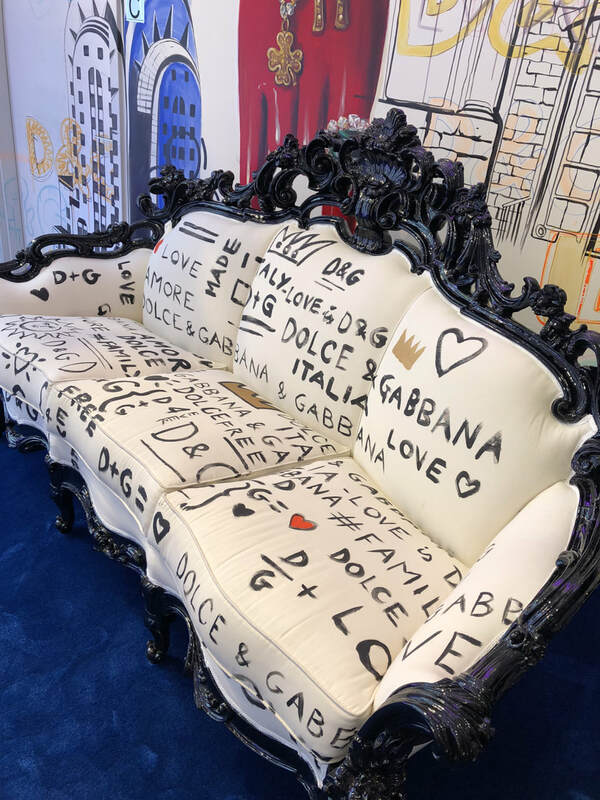 Right as you walk in, there are D&G Gothic armchairs and couches on display to up the ultra-hip vibe. 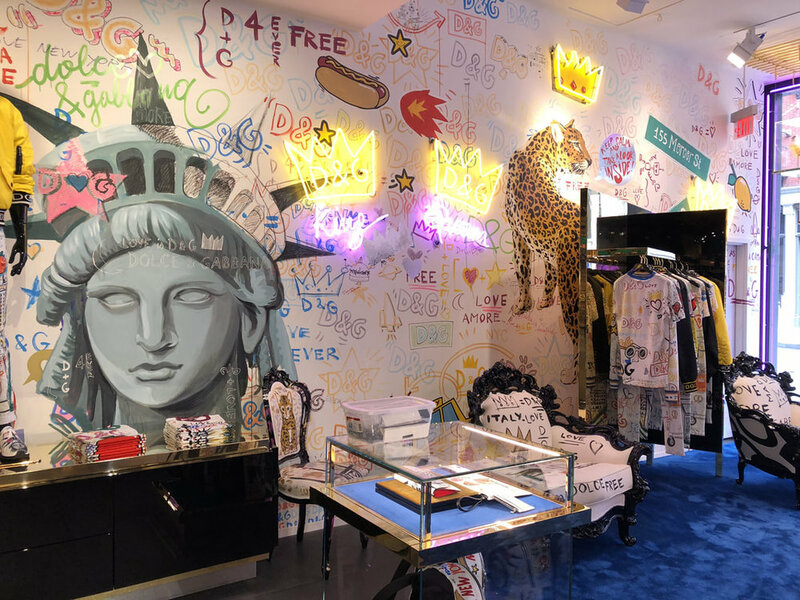 In front of graffiti-covered walls, the Italian brand presents their new unisex range of items, including graphic satchels & clutches, jeans, tees, and sneakers that are exclusive to the store. There was even an artist painting custom, one-of-a-kind kicks for customers! The second tier of the store had a funky feel to it. 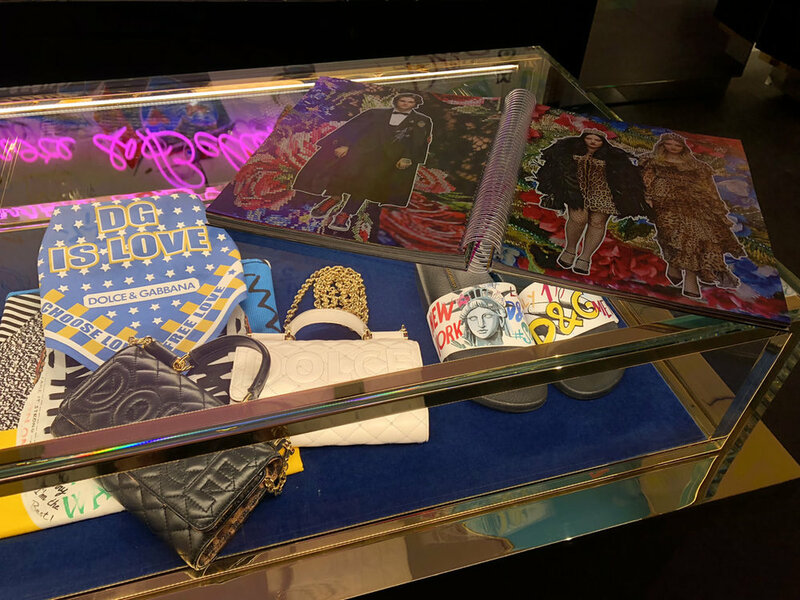 Besides the loud leopard paneled walls and carpeting, dresses, handbags, and other apparel echoed the bold aura of the brand. My fave pieces? Dresses made with cannoli and snap-pea prints! So fun! 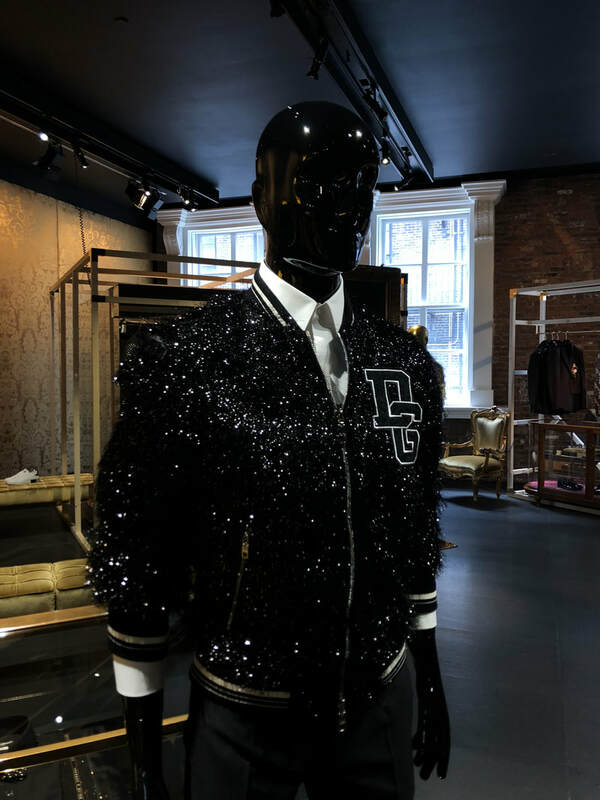 The third and final floor was home to most of Dolce & Gabbana’s couture items. 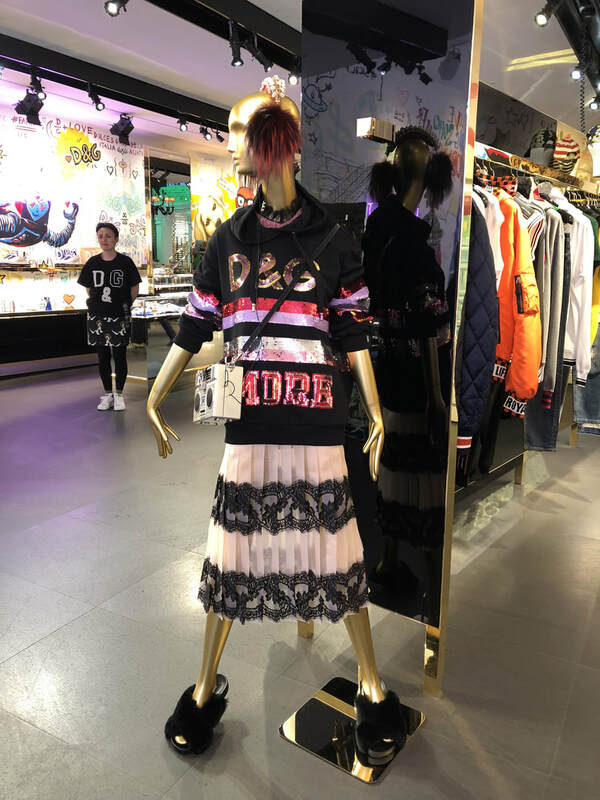 Timeless pieces such as black lingerie, corseted gowns, and sequin shoulder bags reflected the more elegant side of the brand. 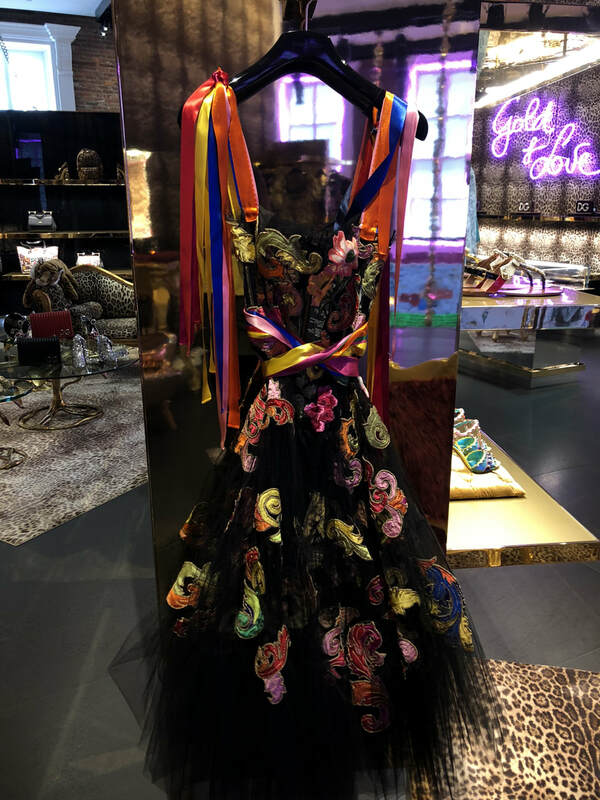 I was astounded by a particular black embroidered dress with a rainbow ribbon corset — the perfect statement piece!